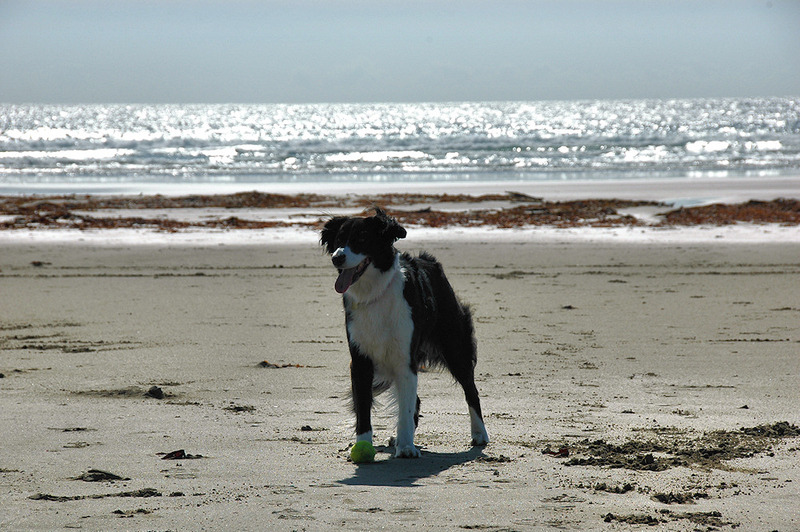 A Border Collie on the beach in Machir Bay, waiting for someone to pick up its ball and throw it. This entry was posted in Beaches, Repost, Sunny Weather and tagged Border Collie, dog, Islay, Kilchoman, Machir Bay by Armin Grewe. Bookmark the permalink.